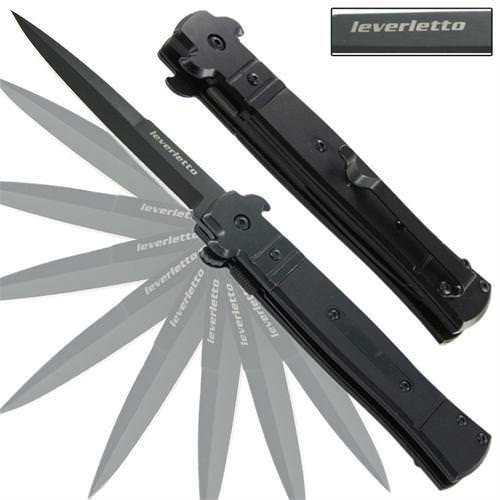 This Spring Assisted knife combines the Italian style stilettos with a lever opening system except ours is Spring Assisted, not lever opening, making this knife legal in most states (please check your state and local laws). It features a traditional stiletto style dagger point blade with a false upper edge. 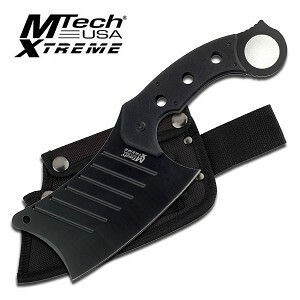 The blade is black anodize 440 stainless steel finish. Just assist the blade about 45 and watch the spring flicks into action. The blade opens smooth while it locks up solid and has an easy release liner lock mechanism. The Handle features a traditional style design with a black on black design and a strip of black insert making this knife the ultimate classic look-a-like. The insertion can also be used to inscribe a name to give to someone as a gift. The handle also sports a double wall reinforcement making the knife sturdy and unbreakable. Teflon spacers allow the blade and handle to open and close with ease. The back of our Italian Spring Assisted knife offers a pocket clip for easy to access when ready to use. Handle Material: Double Wall Reinforcement, Black on Black Aluminum Finish.